There are two main aspects which characterise the Romanian Principalities (Walachia and Moldavia) during the Middle Ages. First of all, we have to mention that the feudal epoch does not cover the same period in the western part of Europe as it does in the eastern part. Narrowing things down, one can describe the Romanian ‘Middle Ages’ as situated between the 7th and 17th-18th century. One can distinguish three periods: “the time of confusion” (the beginning of the Middle Ages to the foundation of the feudal Romanian Principalities), “the heroic times” (14th-16th centuries) and “the time of submission” (16th century to the end of the medieval period). Nevertheless, these are not scholarly guiding marks; the utility of this classification resides in the need to “settle” the historical facts. Another point concerns the concept of “medieval institution”, a central historical notion that must always be analysed in terms of two fundamental dimensions: the spatial and the temporal. From this perspective we will regard the monarch as a character who can be associated with a variety of representations and symbols. For the territory situated between the Carpathians, the Danube and the Black Sea, the ruler was neither an emperor as in the Byzantine model nor a king as in the western model. The medieval Romanian monarchy is represented by the domn (the domnitor or the voievod), an institution whose particular characteristics we will try to emphasise. The 14th century represents an exceptional period for the Romanian Principalities. This time witnessed the creation of the medieval Romanian state with its two representatives: Walachia (situated to the south of the Carpathians) and, to the east, Moldavia. 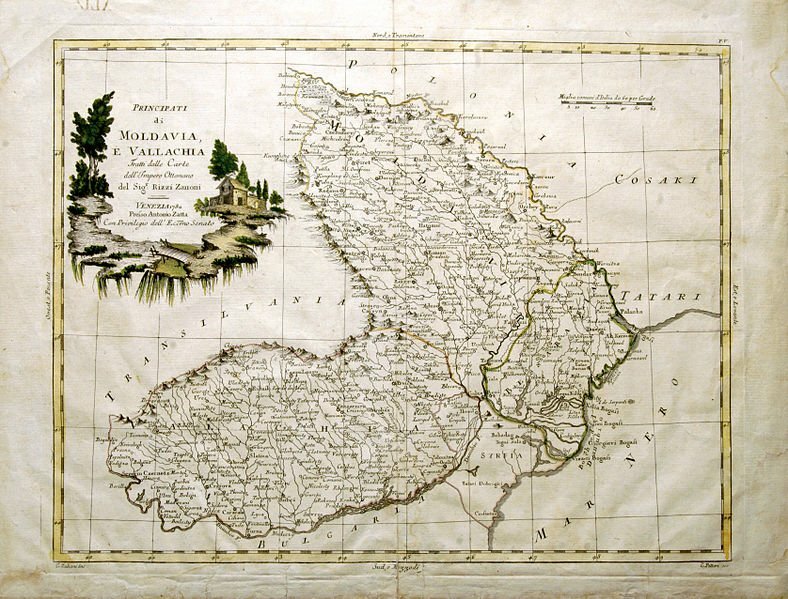 Top Image: The Principalities of Moldavia and Wallachia in 1786, Italian map by G. Pittori.